Tomorrow The Masters starts, this is arguably the greatest week in the sports calendar. Monday we had the NCAA Championship game. Congrats to Virginia and the most handsome coach in sports Tony Bennett. Aging like a fine wine, anyway off topic. Tonight is the last night of the NBA Season and the beginning of the NHL Postseason. Then tomorrow starts The Masters. This is peak sports season, oh yea and baseball is doing its thing somewhere. With all these opportunities to win money let’s look at some golfers I like and more importantly lets win some money. Look at that, even The Masters is promoting Rickie. Fowler finished 2nd last year and has yet to win a major. I’ve honestly bet on him to win the last 5 majors he has played in. It is just a matter of when not if with Rickie. 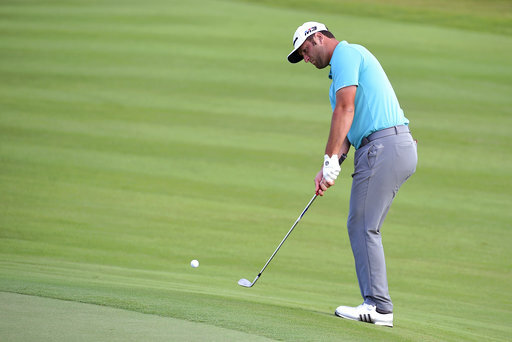 He was -5 last year on Sunday, and if Patrick Reed had finished even on the day they would have gone to a sudden death playoff. I will be rooting for Fowler so my first pick is based entirely on heart and that is good enough for me. The line on Rahm has been moving. I bet on him just a few hours ago at +1600 and am upset to see it trending the other way. Rahm’s pants might be too tight, but he can drive the ball. Rahm is currently ranked in the top 25 on the PGA tour in driver distance. I think Rahm will be in contention all week and could have a strong showing on Thursday. Rahm is the kind of player I like to see paired with greats, I think he plays with a chip and it helps him. He gets to start the tournament in a group with Tiger, that is perfect. Rahm has 6 top 10 finishes this year and I expect at least that this weekend. Hedge your bet and place some money on him at +130 to finish top 10 and throw some on him to win the whole damn thing too. Rory is the hottest golfer in the world right now. He is ranked 2nd in the FedEx Cup Standings and has 7 top 10 finishes in 8 events. Sometimes you just have to ride the hot hand, and that is exactly what I am doing here. Place a bet on Rory to cover some of your longer odds bets and worst case you make a little money. My final pick to win has the longest odds of the four I am betting. Koepka has won 3 of the last 7 majors (2 x US Open, 1 PGA Championship). Koepka has no problem performing on the big stages. He missed last years Masters due to a wrist injury and if he needs extra motivation, in three appearances he has never finished in the top 10. Koepka has dominated the par-5s at Augusta shooting 24 under. His achilles heel has been shooting 28 over on all other holes. Koepka has shown he can score and you will have to at Augusta, if he can overcome his past issues he will be in contention come Sunday. Now have faith in me and ride my picks and we will all be sitting pretty come Sunday night when Game of Thrones comes on.